Where Are the Best Places for Hidden Cameras? Although over a year old, all of the information in this article is still relevant. It is important to know where to place a hidden camera; scroll down to find out how. Placing hidden cameras in your home can have many advantages. Any intruders won’t be able to find it, steal it, or disable it quickly. 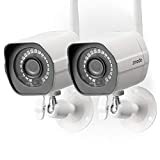 Furthermore, if you’re using the camera to monitor roommates, nannies, or other household members, having a discreet camera can give you the confidence that no unexpected behavior is being displayed even when they think no one is watching. Make sure the angle of your camera will be able to capture as much of the space as possible. Even if you are targeting the camera towards a specific object or small area, having a wider angle of view still helps provide context to what you are looking at when reviewing a recording. Unless you have a very high end camera that records well in low light, make sure that the area you are recording has adequate lighting. If you are placing your camera inside another object to disguise it, make sure that the lens will be able to be flush with the hole drilled into the item. With these things in mind, it’s time to think of ways to hide your camera out of sight. Dig your small hidden cameras into the some dirt within a planter, leaving the lens just above the surface. Then, place some fake foliage above the camera to make the plant inconspicuous enough to blend into a room. Choose very boring fake plants and leaves that don’t draw attention. A classic choice for hidden camera ploys, getting an old or cheap stuffed toy and hiding the camera inside of it can be clever solution to hiding your camera. Choose a stuffed toy with a dark color or busy pattern so the lens won’t be spotted. Also make sure to place this one out of reach so a child won’t grab it and throw it around. Bookshelves these days are considered mostly ornamental by the average person sweeping their eyes across a room. On a cluttered shelf, it can be easy to put in house spy camera near the back without much disguise at all. It will easily be lost among everything else going on in the bookshelf. If the wires and material of the camera can be painted, consider painting your camera to blend in with its surroundings better if possible. Many small house spy cameras cameras look similar to computer webcams. Placing one on a busy computer desk next to speakers and other computer accessories will make it blend in easily. No one would blink twice seeing a camera there; the quick assumption would be that it’s simply a webcam for occasional use. Similar to a computer desk, a busy entertainment center can easily accommodate a small camera that would blend right in with its myriad of technology products. Many entertainment systems and gaming consoles incorporate sensors and cameras, so just a small camera wouldn’t draw any attention.